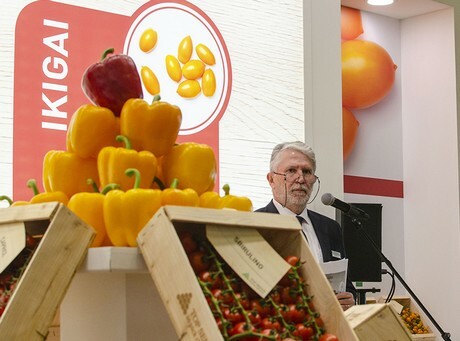 Top Seeds International took part for the first time in Fruit Logistica, where it showcased its many resilient and profitable varieties including tomato, pepper, cucumber, aubergine, melon and watermelon; and a stand devoted to new brands. One of the new product lines unveiled by Top Seeds International at the show was Amai, a new brand that includes the Orange pepper variety, a long, orange-coloured fruit with exceptional taste and pulp ideal for both fresh consumption and industrial processing. It has a distinctive appearance as well as a thin skin, a small number of seeds and a long shelf life. 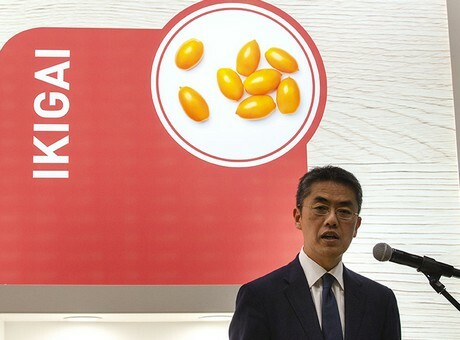 Along with this new variety, the company also presented the Ikigai line, consisting of the Yuka cherry plum tomato and the Mini On yellow mini-cherry tomato. The Yuka has elegant, uniform clusters of orange-coloured fruits with an average weight of 30-35 grams and excellent tolerance to cracking. The Mini On is a tomato for single-fruit harvesting with abundant flowers and a yellow-coloured fruit of average weight 15 grams. The two brands were unveiled at two meetings held at the company’s stand in the City Cube on the first two days of the show and reserved for the press and international fruit and vegetable sector experts. Talks were given by Gianni Bernardotto, CEO of Top Seeds International, and Tetsu Watanabe, General manager of AgriScience Division - Mitsui & Co Ltd. At the end of the meetings, participants had a chance to taste the varieties sold by Top Seeds International. Amongst the cultivars suitable for greenhouse and open field cultivation, visitors showed particularly strong interest in the Tomachoc line, a range of tomatoes that stand out for their unmistakeable colour and shape, excellent organoleptic properties and high lycopene and carotenoid content, suitable for both fresh consumption and industrial processing.